I was as excited as a tweenage girl getting her hands on the latest Fall Out Boy CD yesterday when my heart rate monitor arrived in the mail. In about 30 seconds I had my shirt off and had the chest strap and monitor on. 1.2 minutes after that I had my first heart rate readings. 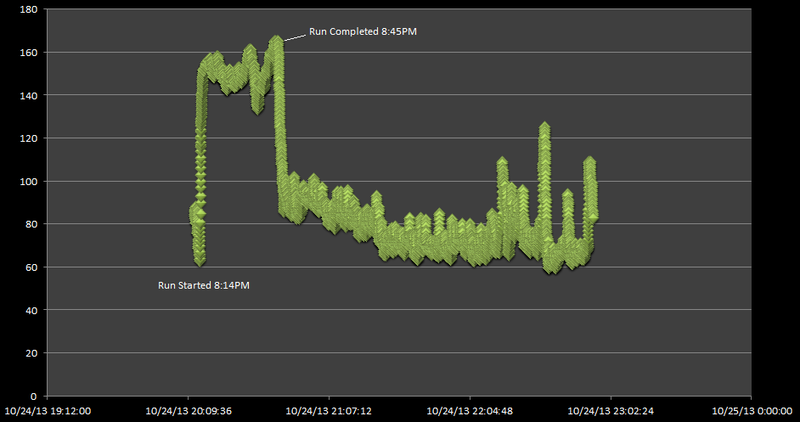 I wore the monitor during our Thursday night run. We ran a little longer course and man was it chilly. Here are the results. The data collection is dead simple. I just threw the CSV into an excel spreadsheet. I will feed the data into a database for some more analysis but so far I am happy with the Product. Should be fun consuming this new data set. 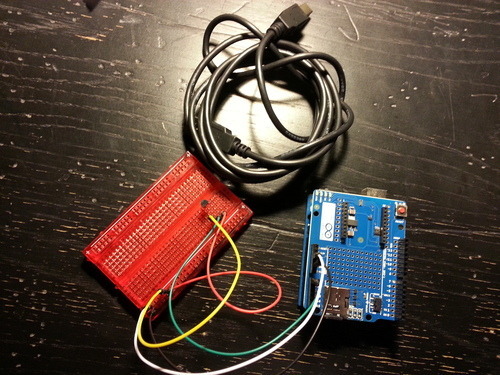 I created the Not So Mobile Temperature logger using the Arduino. Not so mobile because my 9V battery packs did not work. I used it to track the temperature under my desk at work. My feet are constantly cold at work in the fall/winter months. This day was a chilly day but not terribly cold. 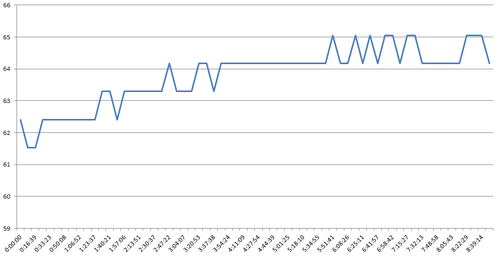 Here is a graph using a subset of the data set. Here is a shot of the Not So Mobile Temperature Logger.